This award is presented to the most efficient recruit from the start of the training period in September of the previous year. 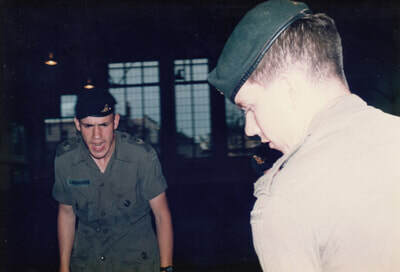 This year’s winner of the trophy is Private (Recruit) Nick Watts. ​Master Bombardier Bob Healy in the QM Stores at Bessborough Armouries. 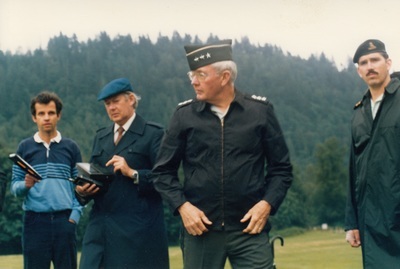 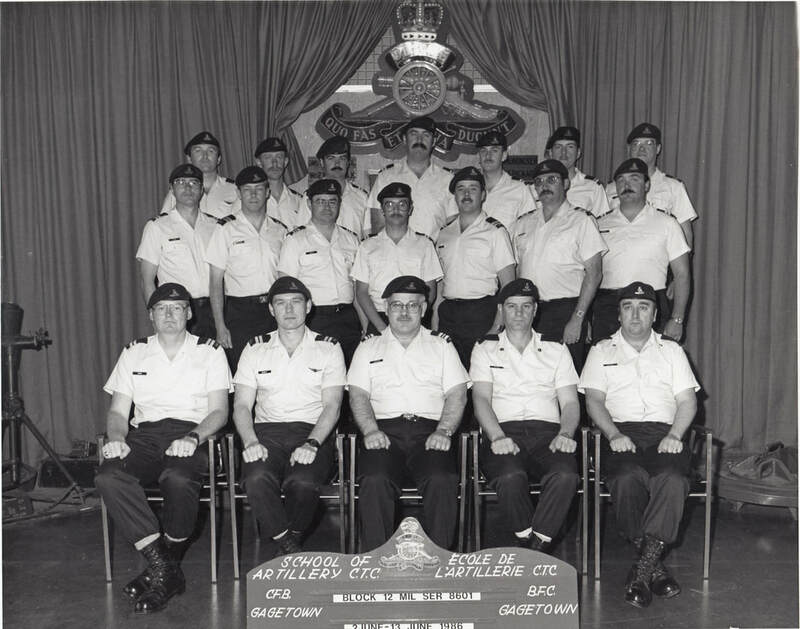 Bombardier Barry Chafe just off to the right. 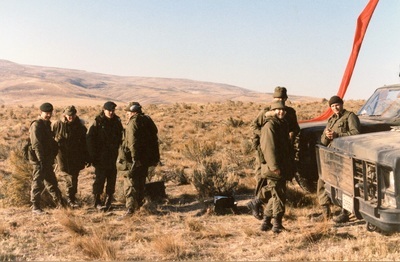 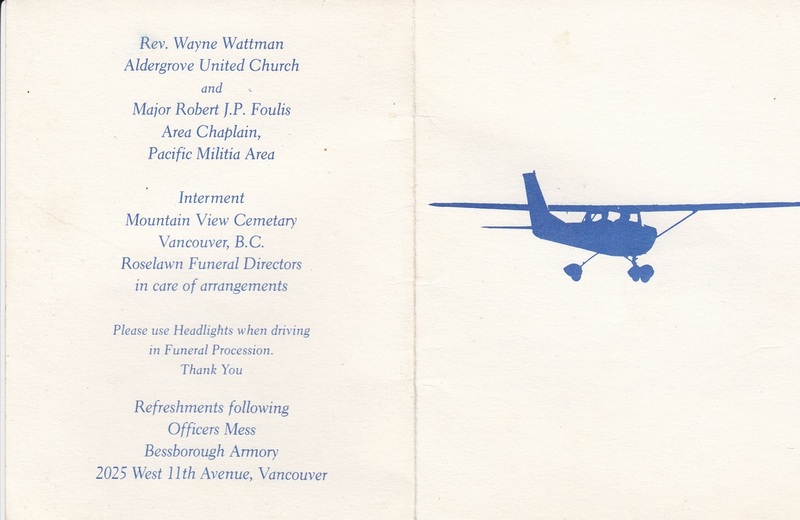 BC Hydro featured a story on members of the Regiment employed by the company. 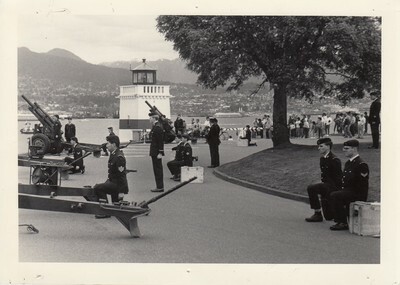 The band performs at one of the many Expo 86 events held throughout the year. 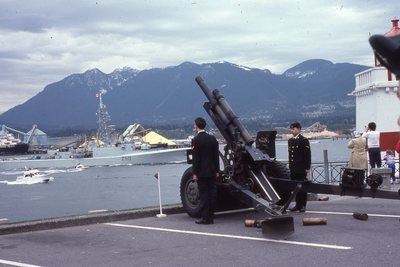 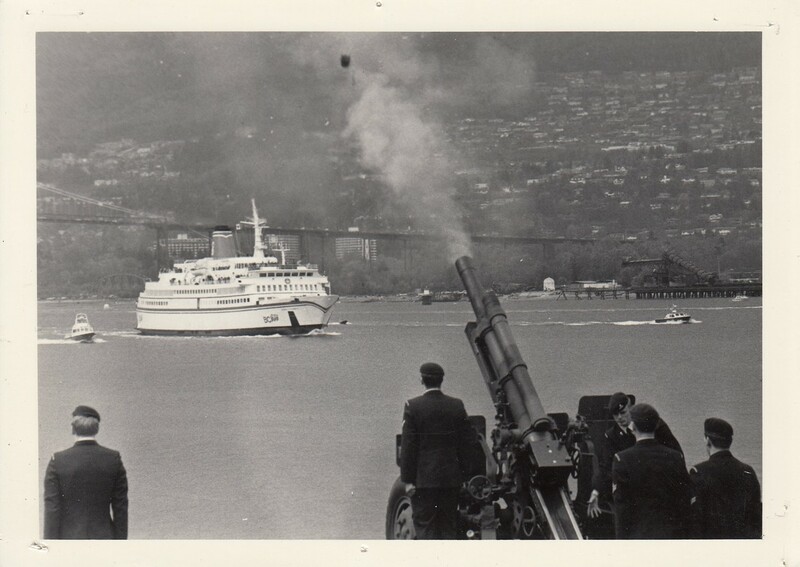 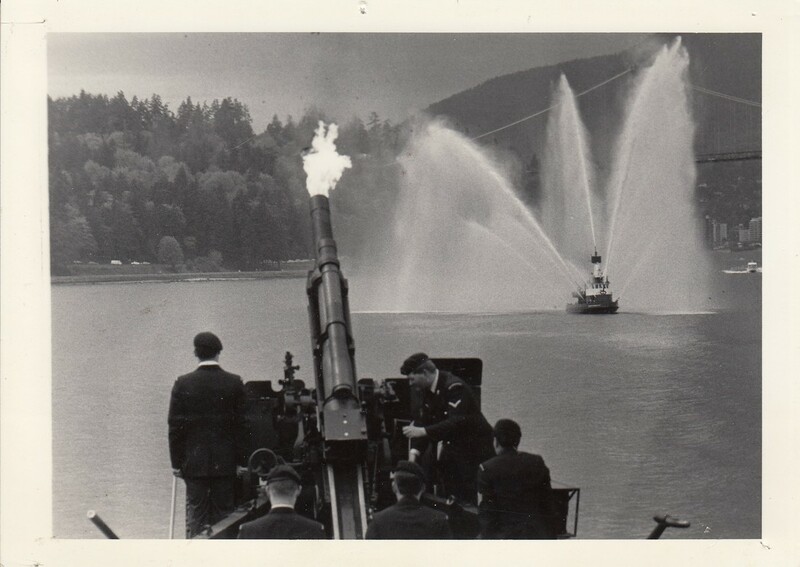 The Regiment fires a 21 gun salute at the Train Station to greet the Governor General followed by a salute in the evening at Stanley Park in commemoration of the historic day. 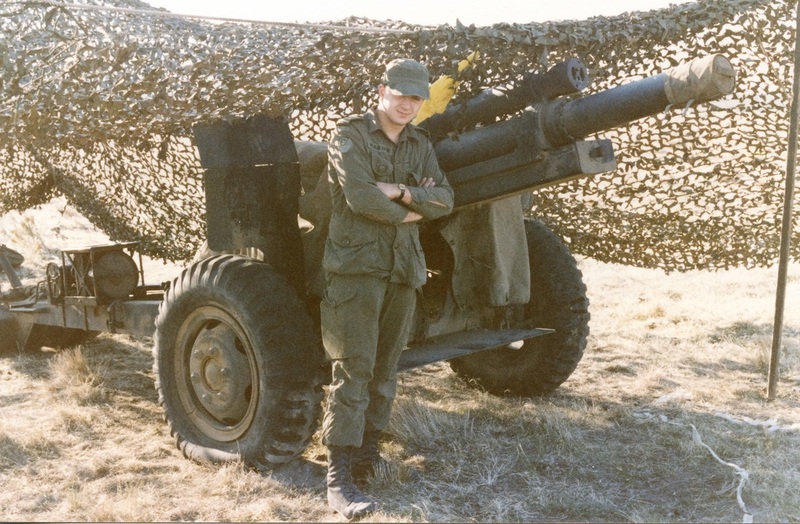 ​Master Bombardier Donato Calogero wins the Annual Turkey Shoot competition. 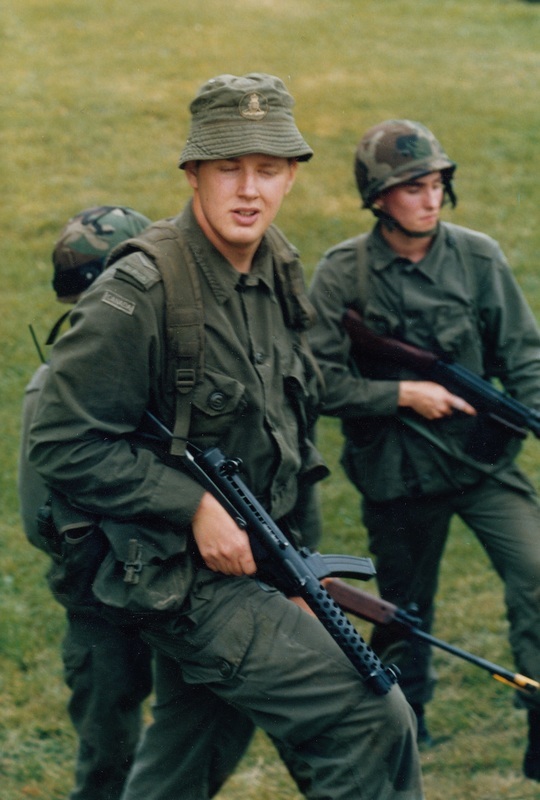 Private (Recruit) George M Dempsey posted to RCA Battle School in Shilo, MB. 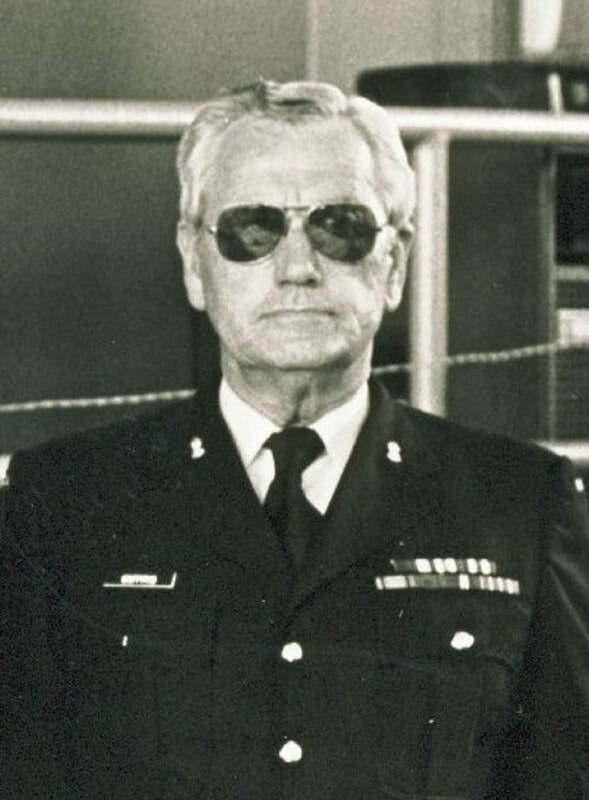 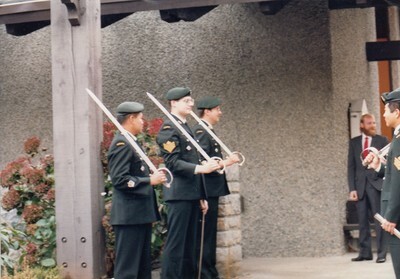 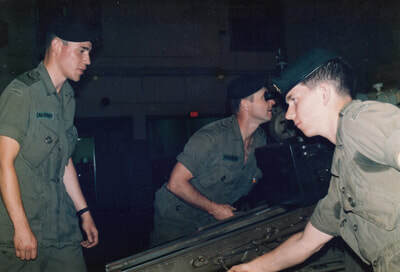 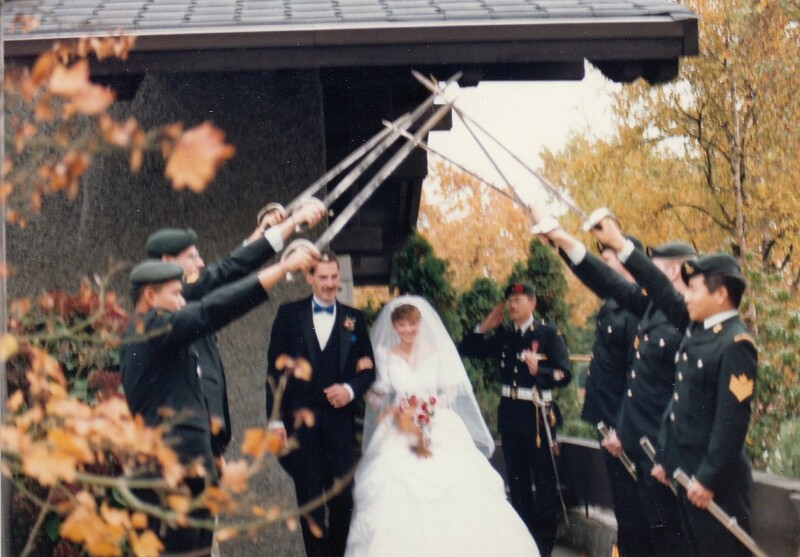 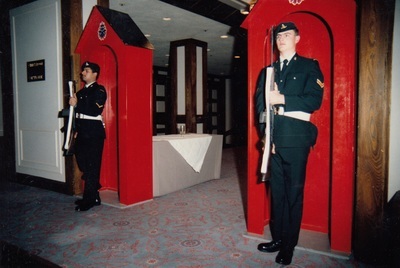 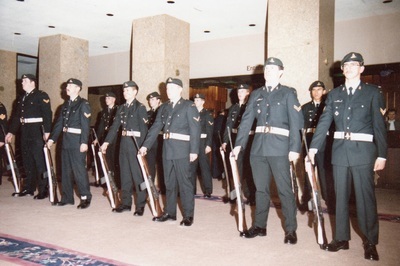 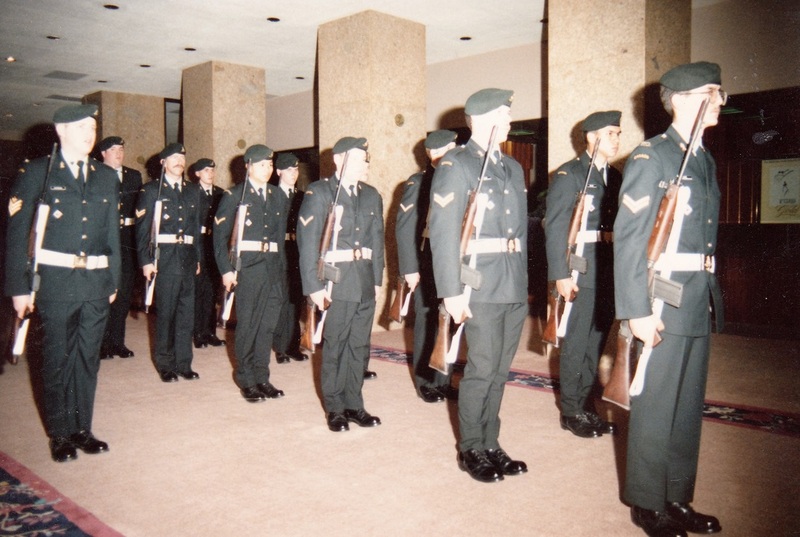 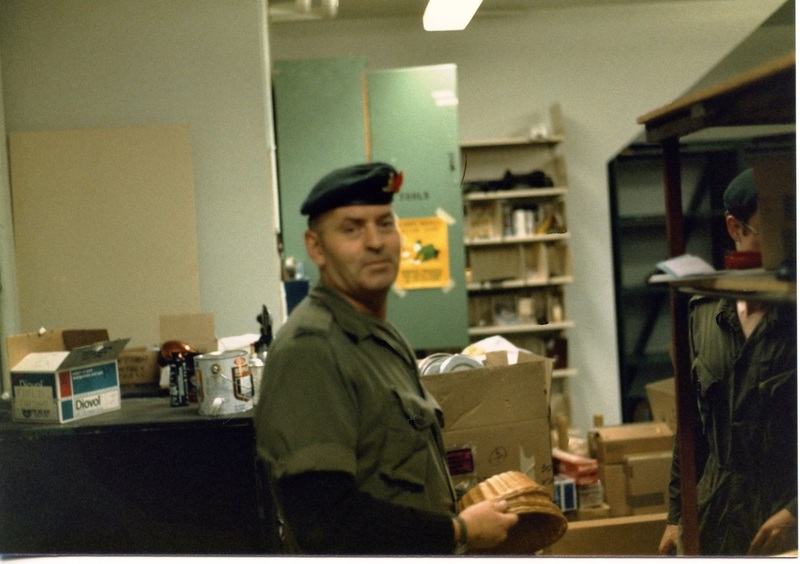 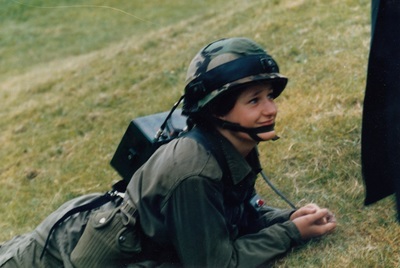 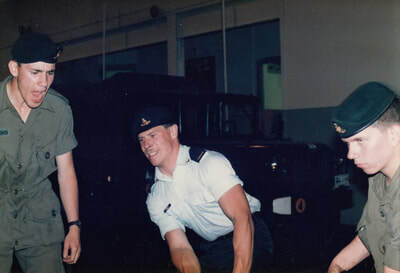 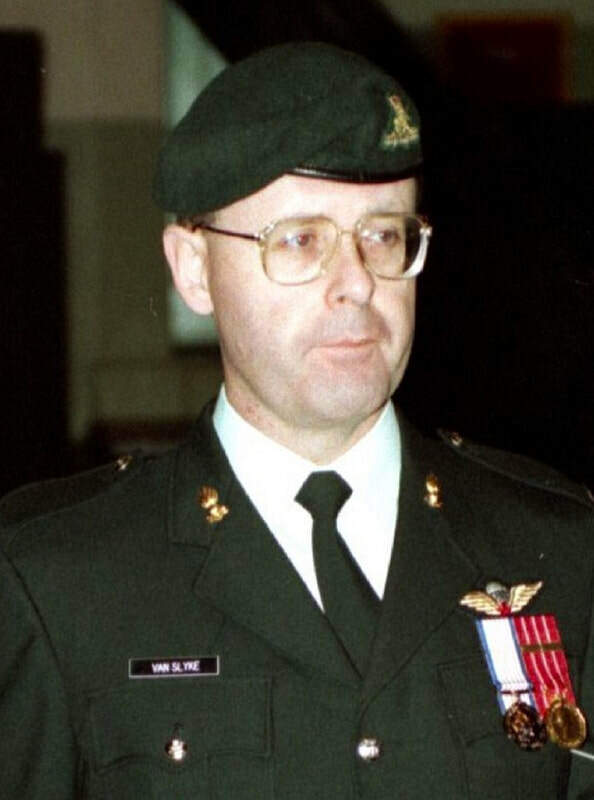 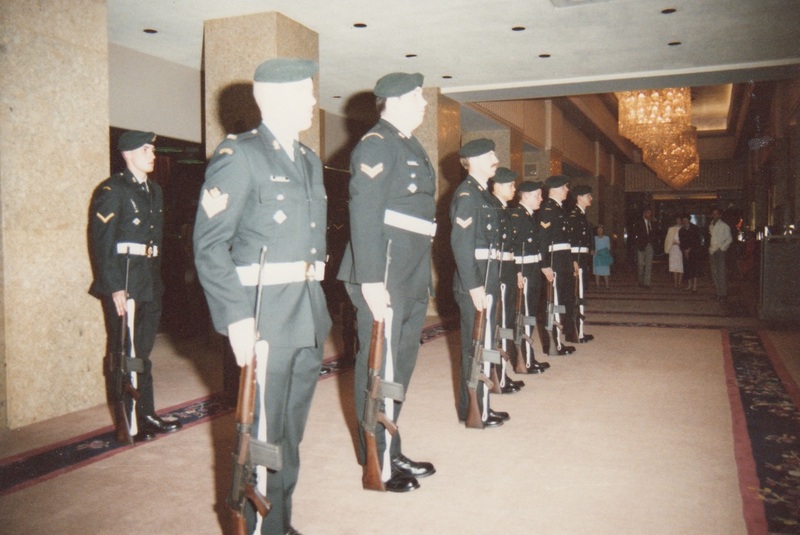 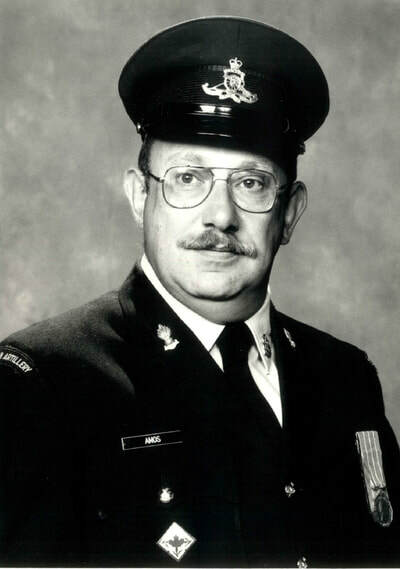 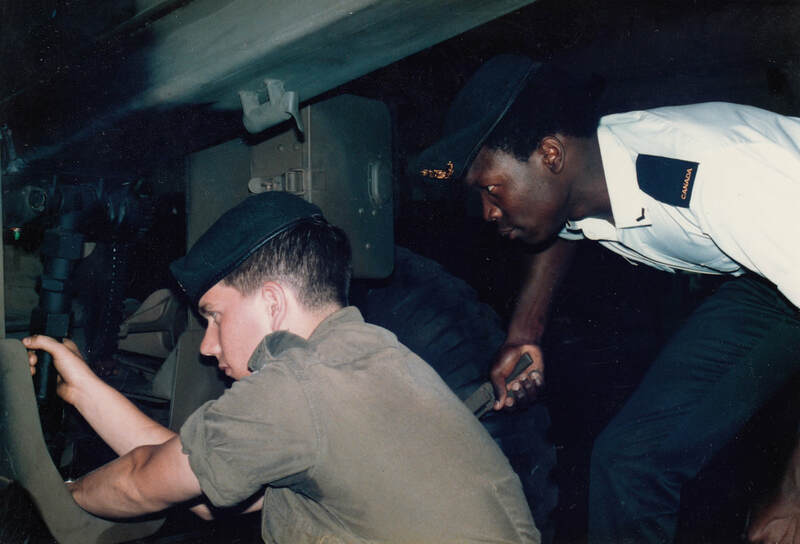 ​Officer Cadet Noel RR Dykes posted to Phases 2 – 4 Artillery School, Gagetown, NB; Aug 86 Commissioned Second Lieutenant (effective May 86, seniority as of 1 Jan 86). 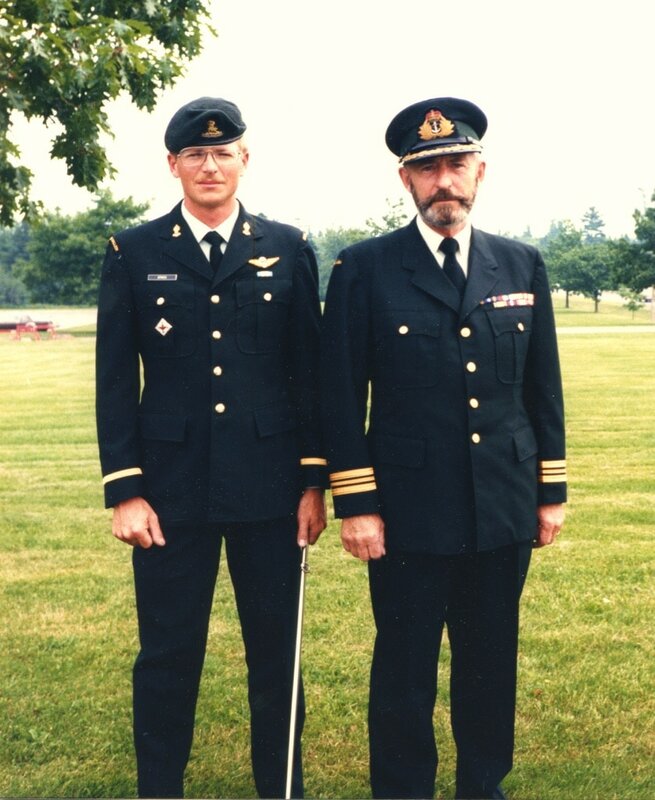 His father, Lieutenant-Commander (ret) Robert Hudson Dykes, OMM, CD, RCN presented Noel with the Family Sword. 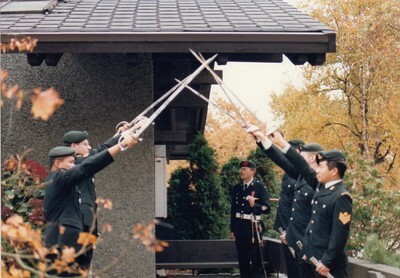 The sword had originally been presented to his maternal Grandfather, Regimental Sergeant Major Cornelius Shepherd, 2nd Battalion The Duke of Wellingtons Regiment, upon being Commissioned from the Ranks in the field, for bravery, in 1917. It had been presented by him to Noel's maternal uncle, Squadron Sergeant Major Neil Shepherd, Royal Signals, upon his Commissioning from the Ranks sometime in the late forties, and then presented to Noel as the next in line to Commission. 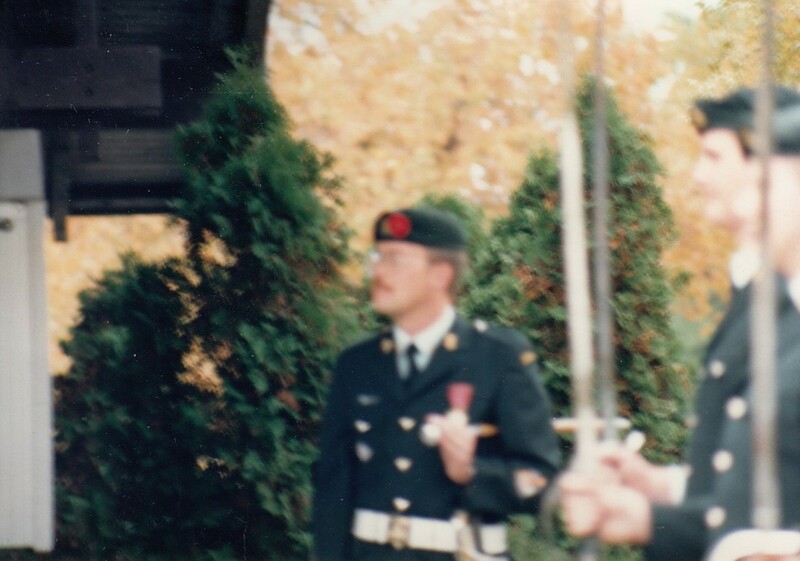 This sword is his most prized possession. 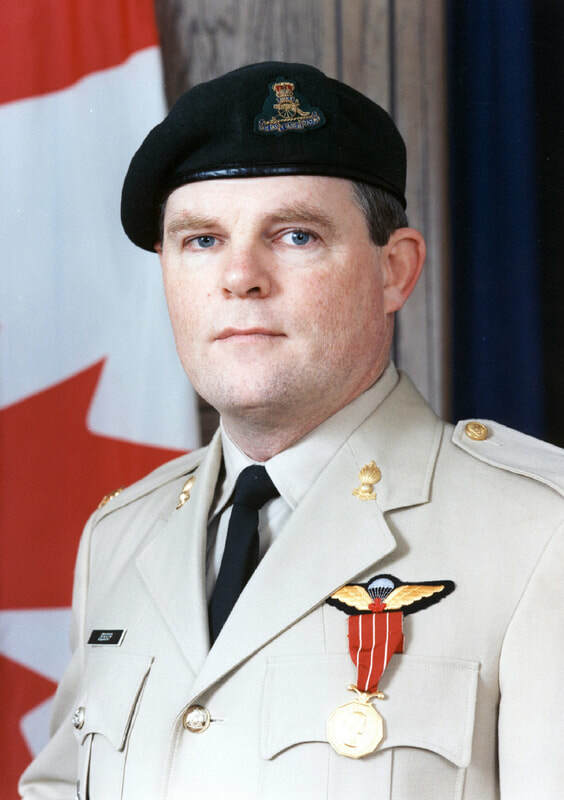 30 Sep 1986 Warrant Officer Colin Norris promoted Master Warrant Officer; Member of Royal Canadian Artillery School as Staff AIG. 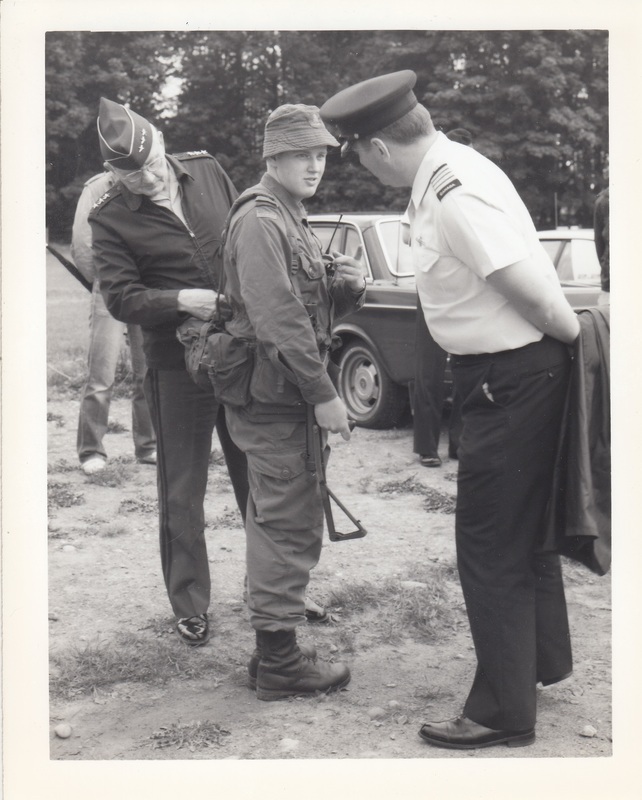 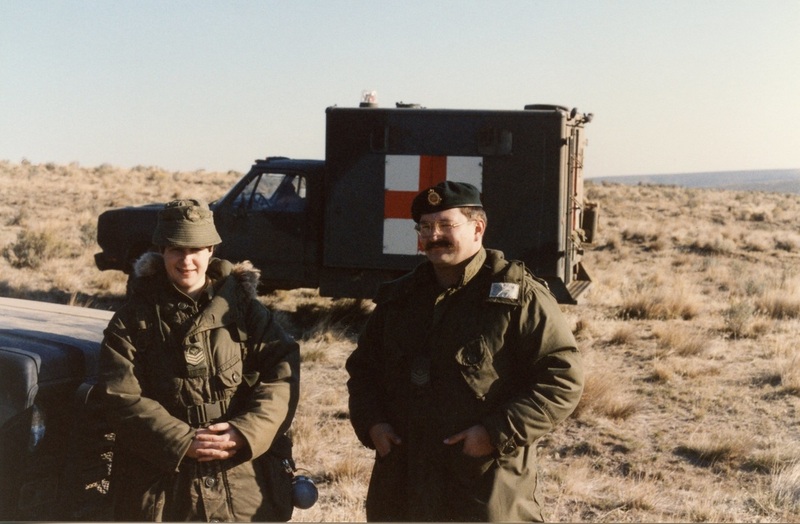 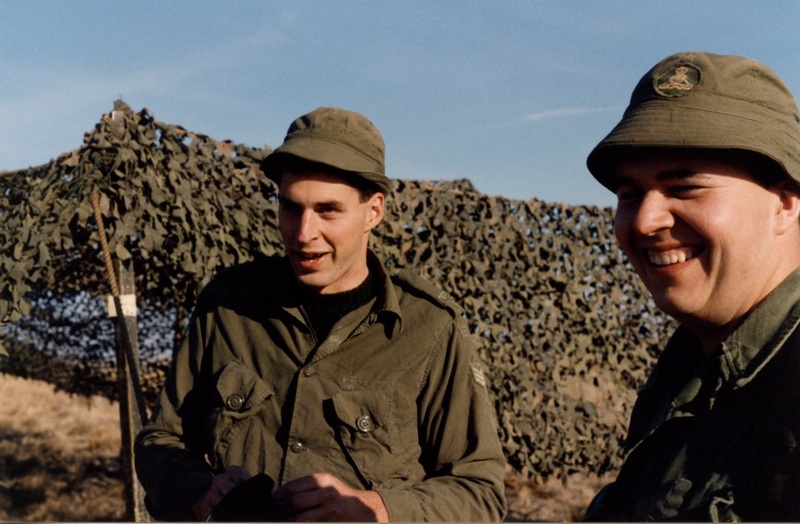 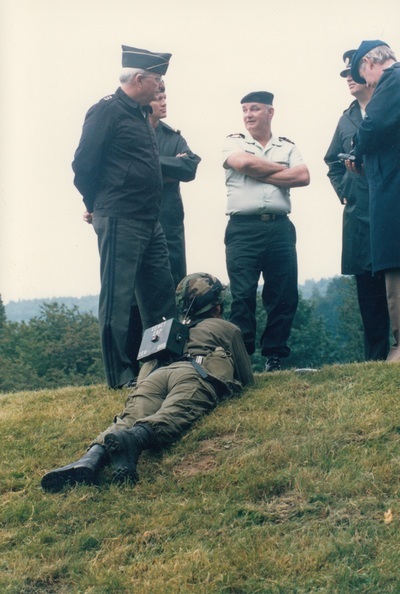 Captain Gary S Woloski posted to Combat Training Centre, Gagetown, NB. 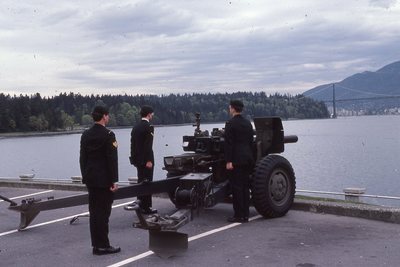 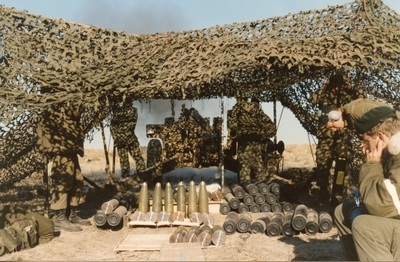 Well laid out gun position. Sergeant Paul Roberts detachment firing charge 6. Sergeant Paul Roberts retrieving the spent casing while Sergeant Dave Warner does the pose. The salute troop await the arrival of the Prince and Princess for their Expo 86 visit. 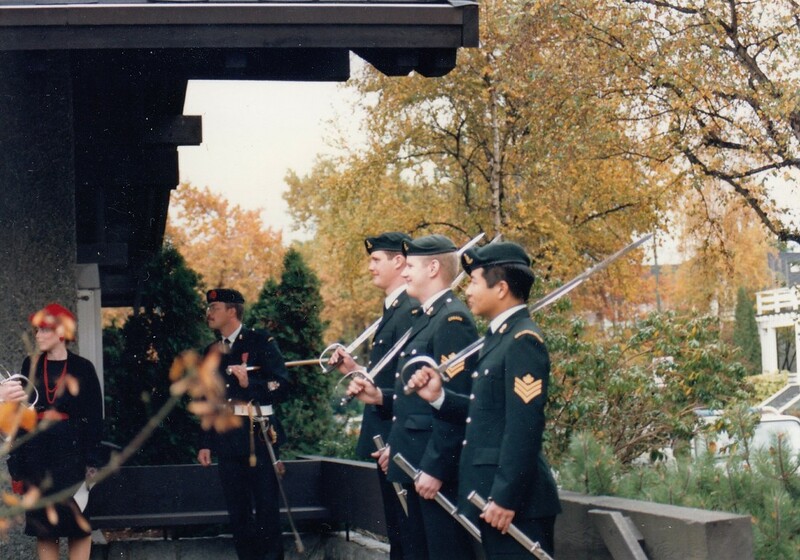 Second Lieutenant Kent Wickens, Sergeant Mike Imada, Bombardier Darren Kostinuk, Bombardier Eric Goodwill, Master Warrant Officer Mark Jackson. 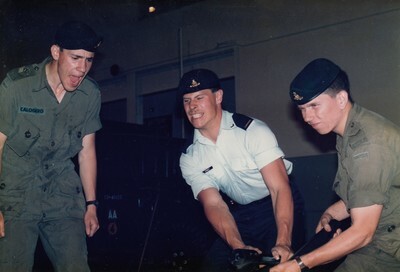 Master Bombardier Geoffrey Wilkie as #1 and Gunner Kevin Rankin as #2. ​The HMCS Terra Nova escorted the BC Ferry Queen of the North for their 90 minute trip to Vancouver. 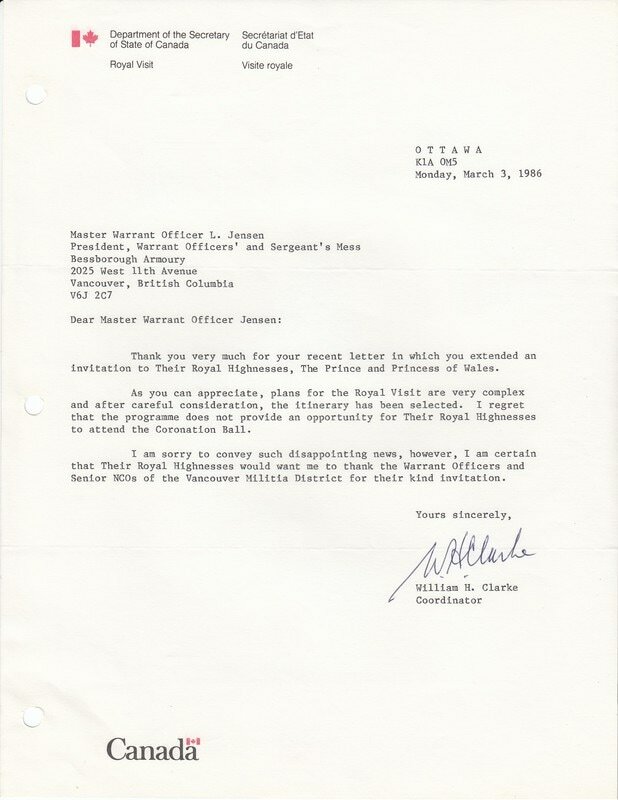 ​ Alas, despite all the letters that were sent out in 1985 paving the way for royalty at the Coronation Ball, the federal coordinator of visits informed us that the Coronation Ball did not make the cut for their programme. 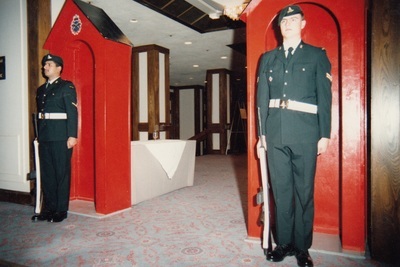 Meanwhile ticket sales were fantastic, based on the possibility that the Prince and Princess of Wales may have attended. 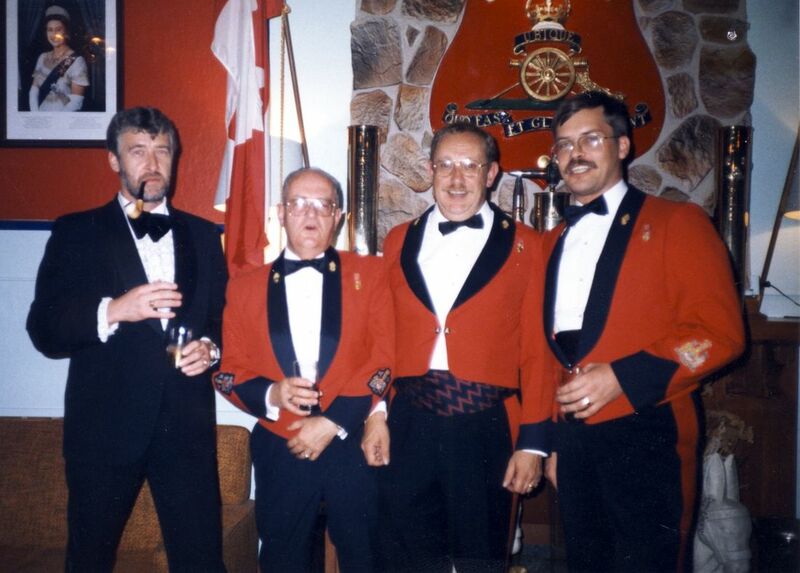 Four Regimental Sergeants Major - Chief Warrant Officer Brian Cormier CD, Chief Warrant Officer Eric Tyldesley-Gore CD, Chief Warrant Officer Bill Amos CD and Chief Warrant Officer Leon Jensen CD. Originally listed in artillery with the 68th Depot Battery. Transferred to 68 Battery 16th Brigade Canadian Field Artillery North Russia Expeditionary Force but was held back from deployment due to age. 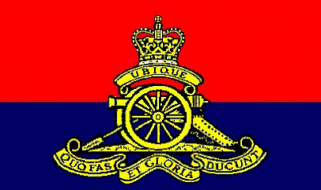 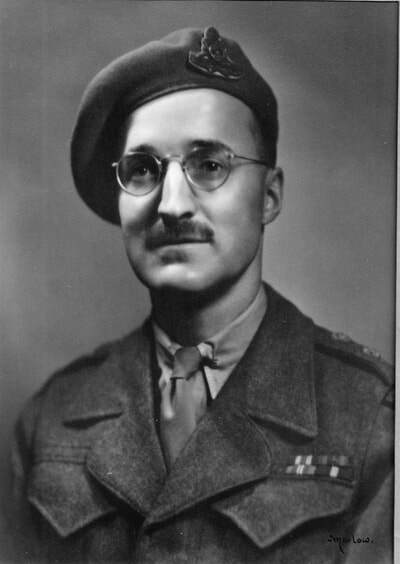 ​Enlisted in Royal Artillery acquiring the rank of General in 1954.